Since 1991, the Ventura County Chapter of the Surfrider Foundation has been working locally to protect and restore coastal resources. Initially spurred by beach erosion and degraded water quality at Surfers’ Point, the chapter quickly recognized that all coastal problems are a result of human activities on land. Coastal development, runoff from urban and agricultural areas, and unsustainable water management practices all add up to create problems within the nearshore environment. Centered on the Ventura River watershed, the Chapter’s projects are becoming examples of community-based restoration initiatives. When combined, these projects provide a framework for demonstrating the effectiveness of taking a watershed approach to Ecosystem-based Management. Building on the chapter’s early Blue Water Taskforce volunteer coastal water quality monitoring, this program aims to reduce urban runoff starting with a small coastal drainage in the City of Ventura. Research revealed how communities around the country are working to re-design urban watersheds that drain directly into rivers and beaches. 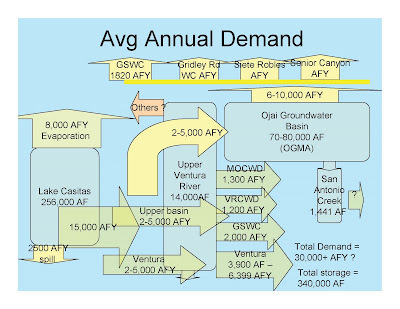 Using computer Geographic Information Systems (GIS) software, chapter members produced a map of the urban watershed and illustrated a conceptual plan for urban storm water management. This plan focuses on a small coastal watershed, and identifies potential pilot project opportunities including parks, streetscapes, storm drain retrofits, and coastal wetlands restoration. The City of Ventura took notice, and this summer passed a “green streets initiative” that will earmark 20% of all future street repaving funds to stormwater retrofit. (SF Victory #99) The chapter hopes this local funding will draw additional grants to expand upon this concept and gradually construct on-the-ground projects to demonstrate the effectiveness of an integrated stormwater management plan. In the meantime, our “Ocean Friendly Gardens” campaign is showing local residents ways that they can conserve water while doing their part to reduce urban runoff in their own homes. 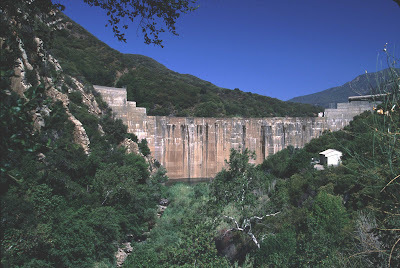 The Ventura River is the only major watershed in the entire Southern California region that does not rely on imported water. But population growth and climate change pose an increasing threat to the long term sustainability of this resource. As the State of California seeks to solve its growing water crisis, Surfrider is working with local government in Ventura to promote integration of water resources to enhance water supply, water quality, habitat and recreation. Possible future projects include stormwater capture and reuse, water recycling, natural floodplain management, and other means to modernize the wasteful water management practices that degrade coastal ecosystems. The Ventura Ecosystem-based Management project is a model for developing an integrated approach to solving the ocean crisis. This relatively small watershed provides an opportunity for the implementation of community-based solutions to typical problems affecting coastlines around the world. In the end, demonstration projects like this will be the testing grounds to determine if we, as a society, are able to change our ways and develop sustainable approaches to land and water use that are now urgently needed to ensure that our coastal resources are restored and preserved for future generations. 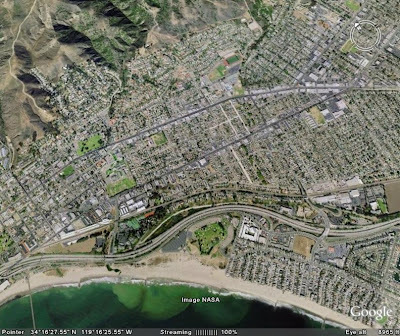 On July 14, 2008, the Ventura City Council took a significant step toward cleaning up the urban stormwater that pollutes our beaches. 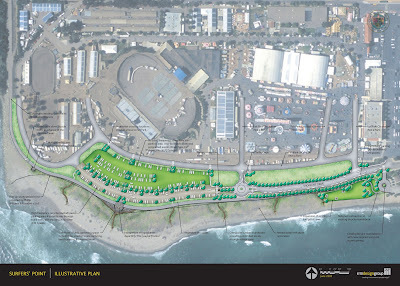 Ventura’s ‘Green Street Elements and Demonstration Project’ earmarks 20% of the funding for all future repaving projects for stormwater improvements. Money was also allocated for a residential street demonstration project that will show how to reduce runoff with permeable concrete and other detention and infiltration features. The new city policy follows recommendations made by the Ventura County Chapter of the Surfrider Foundation in a vision document produced earlier this year. 'Green streets' are the best way of dealing with the 'concrete jungle' that is impacting the health of our oceans. Retrofitting existing urban areas with “Low Impact Development (LID)” components is also part of Surfrider’s Ocean Friendly Gardens campaign.